During a time of the year when perhaps sugarplums should be dancing in my head, I seem to be conjuring trees. More precisely- massive, skyward-reaching, luxurious and well-rooted trees. 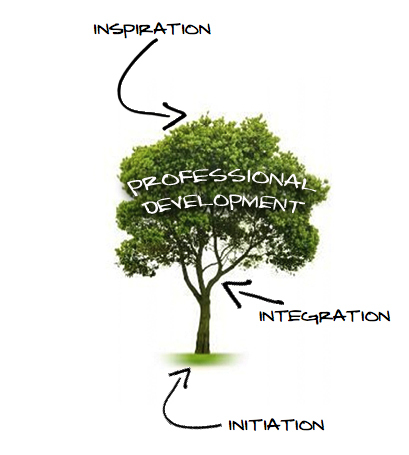 I can’t seem to keep from dwelling in the metaphor of a tree as it relates to a professional development plan. My school, and most recently my district, have been hurtling down the path of a 1:1 laptop implementation in the near future. As an instructional coach in the school that is essentially leading the way down that path, I have spent a great deal of time spearheading ground-level professional development for this project. In addition, I have spent countless hours reflecting and planning… and planning and reflecting… on our progress. If you could create a metaphor for a smart and effective professional development plan, what would it look like? How would you explain the elements within? It seems that I never get full clarity of thought until I can develop a clear visual metaphor that seeks to simplify that which is complex. This one is slightly mixed, but it is where my mind is right now. Like most of the rambling on this blog, these assertions are also mixed with a request for input. Don’t hold back- I look forward to your reactions. We began this quest last year from what was pretty well near ground zero in terms of educational technology integration. We were a school blessed with the structural “stuff” of educational technology (powerful districtwide network, good saturation of laptop carts, projectors, clickers, data probes, etc.). What we lacked were untethered computers assigned to staff, and a strong attention to “student-sided” uses of technology for learning. It’s tough to imagine students using computers to learn if we do not do so ourselves, right? Last year a volunteer group of twenty teachers spent extra time at our school as members of “Edtech Cohort One” in our building. In this first baby step of the pilot, we had two goals: 1) to experiment with hands-on approaches to edtech professional development, and 2) to build a core of 20 teachers who could help serve as leaders the following year when our entire staff entered the world of purposeful edtech integration. That “following year” is now. Throughout this school year (which began with entire faculty PD events this summer) I have been watching closely for how to tweak this implementation if and when it is scaled up at the district level. As it turns out, if is yes and when is now. Allow me to explain this three-pointed approach. You can’t move water up to the top of a tree without a good strong push from the roots. If this were a science blog, I’d spend some time referring to how the roots of plants accomplish this primary pressure even though they have no vacuum power. It’s pretty compelling stuff I assure you, but I don’t want to lose anyone. I think I’ll play it safe and stick to PD for now. 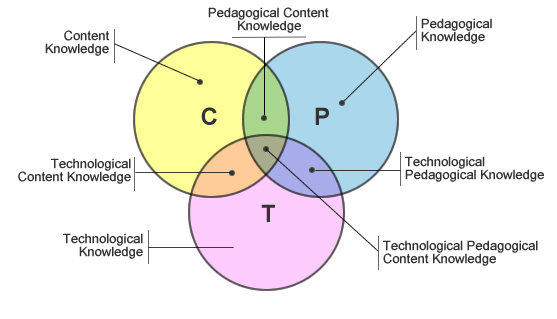 The “initiation” phase of edtech professional development in my corner of the world revolved heavily around “technology operations and concepts” -to use a NETS standard to describe it. The problem here is that in 2009, this is no longer a NETS standard for teachers… it is bottom of six standards for our students. And yet- we’re playing catch-up. Let’s face it, catch-up is never as inspiring as forging a new path. However, if this need is real, the entire mission will collapse without paying attention to it. To put it quite simply, shove a MacBook Pro into the hands of a teacher who doesn’t already have a computer, nor even Internet access at home… and you had better pay attention to operation skills. That example wasn’t exactly the norm in my school, but it was certainly a real factor to consider. When looking at minimal expectations, you have to honor all learners at their individual entry point. Don’t we believe in this for our students? Can you imagine ever effecting inspiring changes in curriculum and instruction with a lack of simple technology operational skills? In this “initiation” phase, we focused first on care & feeding of the new hardware, followed closely with a push beyond the “default settings” in order to become comfortable with the parameters of all of the stuff. Our aim is most certainly here, but you can’t even hold the gun steady without a firm foundation. However, I believe it is important to not only push up from the roots of initiation, but also to exert a gentle tug of inspiration from the top. Water would never reach the highest leaves of a tree without the slight pull of transpiration into the atmosphere. Likewise, I believe most people will mobilize if shown a compelling impetus for change. In my mind you really need a two-pronged approach at this level. Tapping keys and clicking trackpads isn’t in and of itself very motivational to most people. Teachers are rather overburdened folks as it is. Achieving success in the role of lead learner in the classrooms of today requires a terribly broad skill set coupled with a relentless work ethic. There simply isn’t much more time left in the day. Therefore, I would argue that no successful teacher is going to be open to instructional reform without being shown a bit of the view from the top. What I mean by this is that along the way, even in the beginning, we need to provide glimpses of model uses of our most effective tools. We need to sponsor innovation and experimentation with new approaches, and encourage the adaptation and repurposing of the ubiquitous tools for communications that now surround us. Many of these tools are finally allowing teachers to bring about the kind of collaborative, constructivist-leaning environment for learning they were shown in theory some time ago. I believe it is smart practice to sprinkle in highlights of rich models where this type of environment is already in place. We also need to outline some of the shifts present in today’s world that no doubt impact the generational divide between most teachers and their students. From day one, we have tried to build in job-embedded time to both learn the operations and take a look at the potential for a more student-led environment. We seek the type of environment where students are compelled to take advantage of the opportunities to seek knowledge and skills from other sources rather than their teachers and textbooks alone. Along with the keytaps and mouseclicks, we have looked for inspiration in projects and tools that allow regional, national, or even global collaboration. 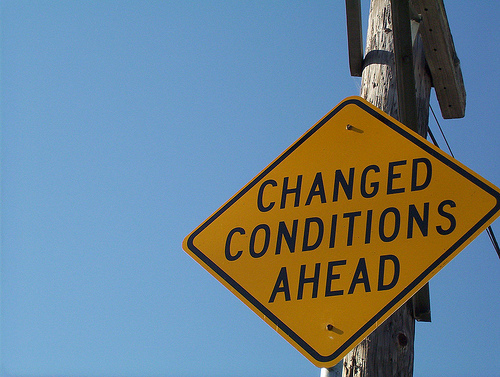 So assuming a solid base of operational learning and open minds toward instructional transformation… what’s left? Integration at this level is a pretty lofty goal- no doubt. However, I hate aiming at what is the acceptable level by most standards. Just using the latest tools to get the job done isn’t what TPACK is about, and it sure isn’t my cup of tea. Instead, I favor drawing a bead on the transformation of our classroom experiences toward an end that features the teacher as learning coach in an open environment. Now that goal… that goal requires inspiration. So let’s assume for now that our first two years forward with this implementation are a success. I have no reason now to think that our teachers will not all possess a minimal level of tech savvy. So where where might we go next in terms of staff development? At this point, I have considered many options aimed at the best-case scenario for next year. I would love the diverse input of my readers to help me nail down a more crystal focus for next year’s professional development. I would have to say that in December of 0-nine I am still of the opinion that a hybrid approach is best. And yet- I am thinking that the goal going into next year is to provide future PD around a more voluntary model for those ready to roll toward a deeper transformation of the classroom. In short: require a certain level of tech savvy of all teachers… followed by enriched opportunities for those most ready… to roll into the future. It takes three processes to move water from the roots to the tip of a tree. This includes a push upward from the roots. Also crucial is the pull from above, and don’t forget the attractive forces throughout the entire journey upward. More concretely, I am often reminded of the model MICDS employed in their second year of 1:1 implementation. Having strong peers just across the state is a valuable resource to say the least. I was lucky to be a guest of several of the workshops spearheaded by Elizabeth Helfant at the MICDS Summer Teacher Institute. Anyone with an ear to the current edtech landscape would tell you that this is a shining model of a professional development series- at even a global level. I can’t help but be influenced by such an inspired plan. Creating a voluntary development series in the summer of this caliber is something that seems both realistic and smart at this juncture. I’m now wondering how much of this model could realistically be implemented closer to home. After a quick glance, do you blame me? Now it’s your turn. I need feedback. We need feedback. Feed our roots with your diverse wisdom. *”PD TREE”: my adaptation of “small tree on white” from stock.xchng. 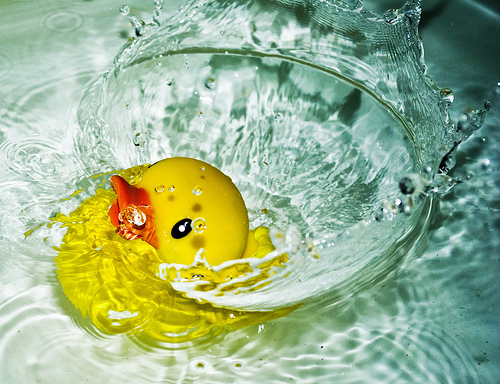 *03/365 Splishy Splashy by Rachel Carter on Flickr. *sunflowers by Marco Magrini on Flickr. *TPACK framework by Punya Mishra & Matt Koehler. *Oh. by Brendan Landis on Flickr. Great Article Nashworld. I like the snow while reading as well. Those that want to learn will learn, those that don’t will resist. The only other aspect I believe is that many learn at a different pace, teachers included, especially tech wise. I have found that I personally learn something new tech wise every day. Love reading these posts. Yep- you’d think a love of learning new things would be a given in this profession, right? There are very few… very few… but still a few folks who get into this field with the assumption that their learning is now complete… and it is now time for “others” to learn from them. Strange but true. Now, that said, the vast majority of teachers love to learn new things. You’re quite right, however, that the “terms” of this new learning are the important things with adult learners. By “terms” I am referring to the timing, pacing, and makeup of the learning events. What’s funny is that our students in secondary schools are becoming more and more like adult learners. I say that not because our kids perform at such stellar levels in comparison to the past. I say it because they are more and more bringing “adult” characteristics and habits into the classroom. It is my opinion that this is one of the fundamental issues with student engagement today. Students are far less willing to be passive receivers of information in a traditional way. I think I just outlined an upcoming post. Thanks for that. Always good to read your thoughts. Love the images that go with your postings. Yeah… cool images all but perhaps that fourth one, right? Did I ever tell you that our entire teaching staff has that on the back of a t-shirt? Yep- the boss (Dr. Westfall) is responsible for that one. The flow of water in a planet, eh? The best thing is that there are still elements of this that are unclear. But the two cent summary involves root cells actively loading mineral ions to set up a concentration gradient… thus inviting water to rush in and build pressure. The pull from the top comes from gentle tugs of water molecules evaporating from the pores in leaves. Push at the bottom… pull at the top… and the electrical “holding hands” of water molecules in the miniscule tubes between (cohesion tension theory) keep the chains intact. And think of it… it really is beautiful. A coastal redwood moving perhaps a thousand gallons up a 300 ft. trunk… and doing so in complete and golden silence. Even directly applying ear to trunk won’t give away the secret stealthy pumping mechanism. The fact that many researches have teased this out and linked it together over so many years… well, science certainly is elegant in its messiness. Yes, yes, and yes! You may be my ticket to the front of the long Santa Claus line. One of the first things I want to show them is your latest post. The meeting is in a few short hours, and while I have a sense of the power these tools will unleash, I fear I will become a bumbling mess of platitudes and aphorisms–ironically, I need a pilot program to show what a pilot program can do. I am open to any suggestions you might have. Heck, if you’re available around 3 PM (or if any of your readers are), I might even consider a Twitter-rodeo. Yes, this is very short notice. Yes, it’s the holidays. Yes, I’ve lost my mind. Still, I am within arm’s length of a pot of gold at the end of a very generous rainbow. A willingness to sponsor risk-taking: check. A creative teacher ready to take said risks: check. An educator excited to try a new approach: check. Friend, I think you have the ingredients for a perfect storm for sure. Heck, I’m excited just reading your excitement. I also admire your healthy fears. If you didn’t have those I’d say you were somewhere along the lines of reckless. You’ll be great at this. I know you’ll love the implementation of a significant set of new tools to help move the learning in your classroom more toward the ownership of your students. That’s really it. As long as you always ask yourself “what can we now do now that we couldn’t do before?” …you’ll always be pushing past the “electronic worksheet” syndrome. And btw- what the heck is a “Twitter-rodeo?” Is there a chance I’d end up with a rope around my neck, or face down in a cow pie? I’m getting a fuzzy image here. Posts like this one remind me that there is hope to change the system given time and a few favorable variables. Have a Merry Christmas. Hey Matt… sorry so late getting back on this one. Somehow the post didn’t come to email and it slipped by me. It’s certainly not been a perfect journey… but then again, I doubt there’d be much depth or rigor if it were easy. Right? I’ve learned a ton, that’s for sure. I hope I can say the say for all of us here in the next couple of years. I agree with you that “glimpses from the top” can be taken as far to much of an outlier. That is why I have tried so hard to develop at least rudimentary models of these things in our school… with our kids. Pretty hard to take that as an outlier. You are dead right about admin support. As I’ve said before, it is one of the “Four Pillars” in my opinion. It’s top two for sure. However, even in the absence of visionary (or even or even supportive) leadership, your circles of “creating, sharing, creating, sharing” are nothing to toss aside. That is the real substance my friend. We’ve all seen PD efforts from the top-down that ended up with little to no action on the ground level. And really… the ground level is where our clients are. 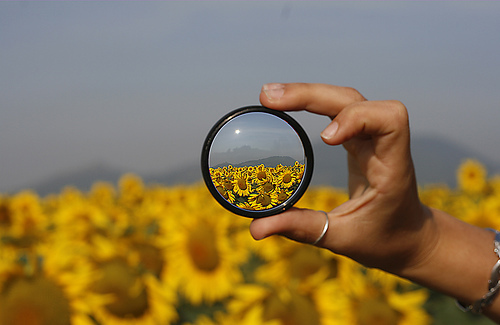 A classroom teacher actively innovating and reflecting reaches how many students per year? Never forget that.